John Thadeus Delane, the son of Frederick Delane, a barrister, was born in London on 11th October, 1817. John was brought up on his father's estate at Easthampstead, Berkshire. One of Delane's friends and neighbours was John Walter II, the owner of The Times. In 1833 Delane went to King's College, London, followed by Magdalen Hall, Oxford. As a student, Delane began to contribute articles to The Times. After obtaining his degree in 1839 he was called to the bar at the Middle Temple. When, the editor of The Times, Thomas Barnes died in May 1841, John Walter II invited the twenty-three year old Delane to take over the job. Unlike Barnes, Delane rarely wrote for the paper. 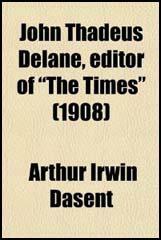 Delane held liberal views on most issues, but believed it was the role of a newspaper to be independent of political parties. Delane argued that it is the "duty of the journalist is the same as that of the historian - to seek truth above all things". 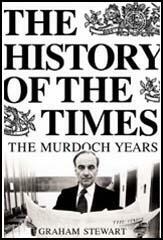 However, he added that The Times "owes its first duty to the national interests" and that the "ends of government were absolutely identical with those of the press". Delane also gave vigorous support to Florence Nightingale and her attempt to reform military hospitals. With the support of Delane and the The Times, Nightingale was able to raise £59,000 to improve the quality of nursing. In 1860 she used this money to found the Nightingale School & Home for Nurses at St. Thomas's Hospital. In 1864 Delane upset John Bright when he accused him of being in favour of "dividing the lands of the rich among the poor". When Bright wrote a letter of complaint to The Times, Delane refused to print. Later, Bright published the correspondence between himself and Delane as a pamphlet: "to show the surreptitious relations which a journal professedly anonymous and independent maintains with the government". Delane retired in 1877 to his house at Ascot. John Thadeus Delane died at Ascot Heath House on 22nd November, 1879, and is buried at Easthampstead in Berkshire.